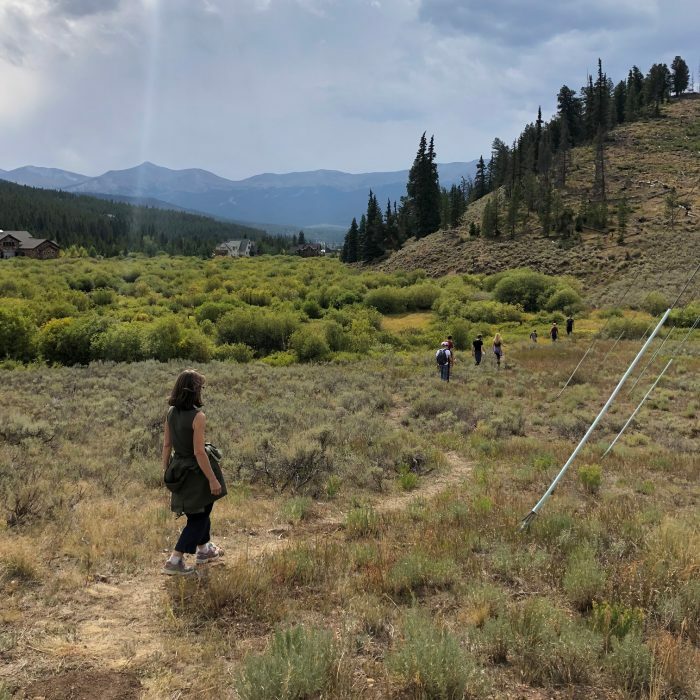 Breckenridge, budgets, free fun, and a sale you don’t want to miss! It was a fantastic trip — my dad rented this HUGE house for us all that was right on the edge of beautiful trails and had gorgeous views. 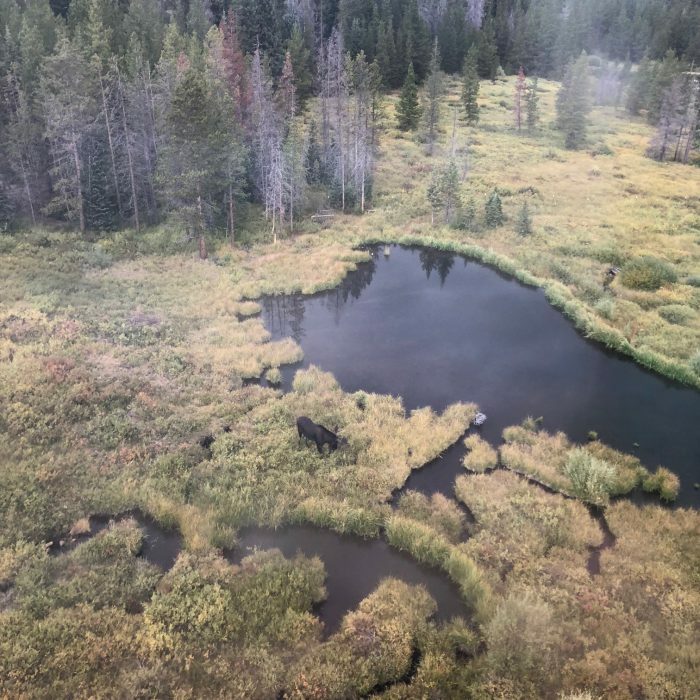 We hiked many miles, were amazed by the scenery, and even saw mountain goats and moose in the wild! One thing we were not prepared for was how crazy expensive everything was in Breckenridge. We went into town two of the days and we basically just had our jaws dropped the whole time at the prices. 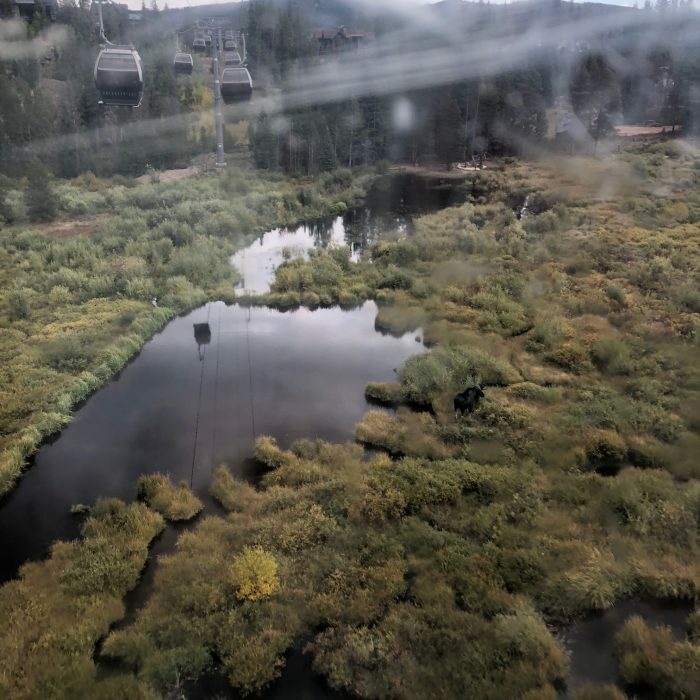 $20 to ride up a ski lift? $27 to go on the mountain roller coaster? $11 for a crepe? Yeah. It was pretty ridiculous to us and I can’t imagine living around there! We’ve been trying to stick with a pretty tight budget recently because we’re working on replenishing our Emergency Fund and saving up for some other things. So we tried to spend as little as possible on this trip. 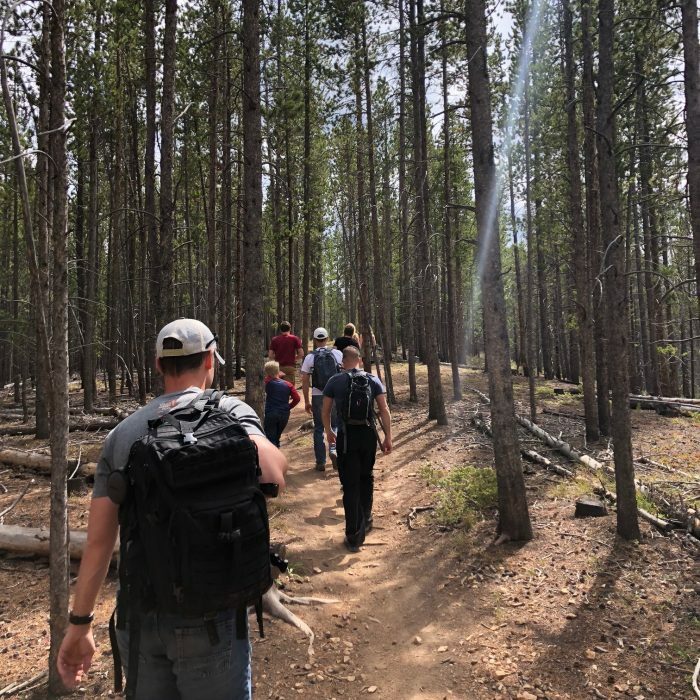 We found that there are plenty of fun things to do that don’t cost money — including beautiful hikes, strolling around downtown in Breckenridge, and riding the Gondola (it’s free and there are such great views from it — including getting to see moose!). We had a Starbucks gift card (thanks, Swagbucks! 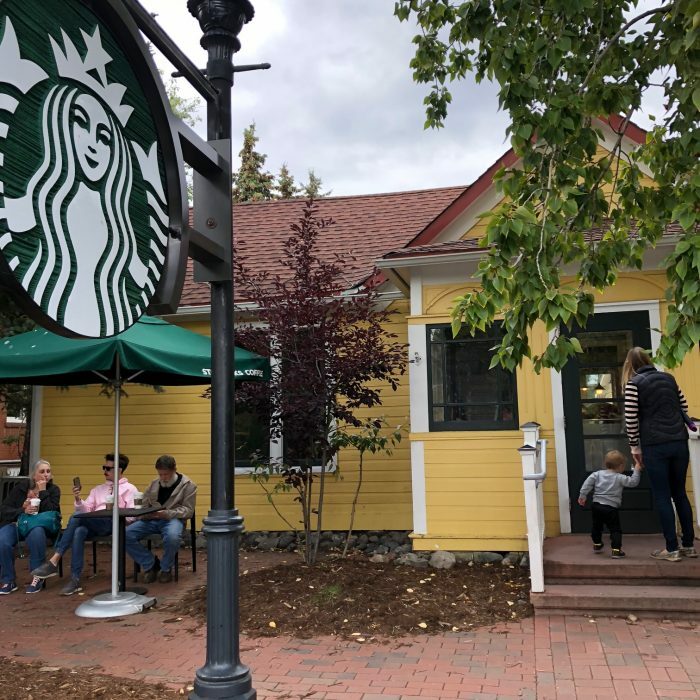 ), so we used it to buy some drinks at the adorable yellow Starbucks house in downtown Breckenridge. We couldn’t believe how big this Starbucks was and it’s a great place to use the bathroom if you need to! 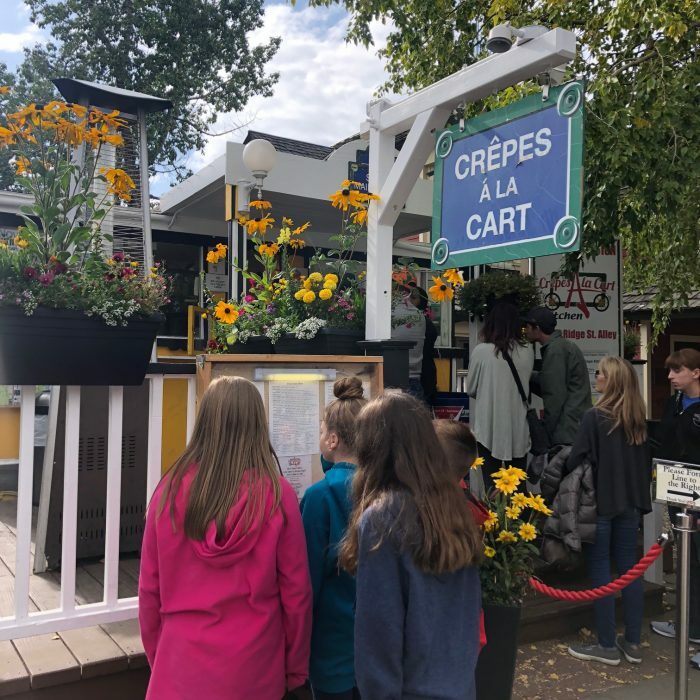 So many of you reached out on Instagram and recommended that we go to the Crepes A La Cart place in Breck. We decided that would be our one splurge of the trip. However, the first day that we tried to go, the line was so long that we realized we would be waiting at least an hour or more. By the way, the cinnamon/sugar/butter crepe is only $5 and they had a few other crepes that were around $8. They are big so we bought three and split them amongst the 6 of us (we had my sister’s daughter with us, too). 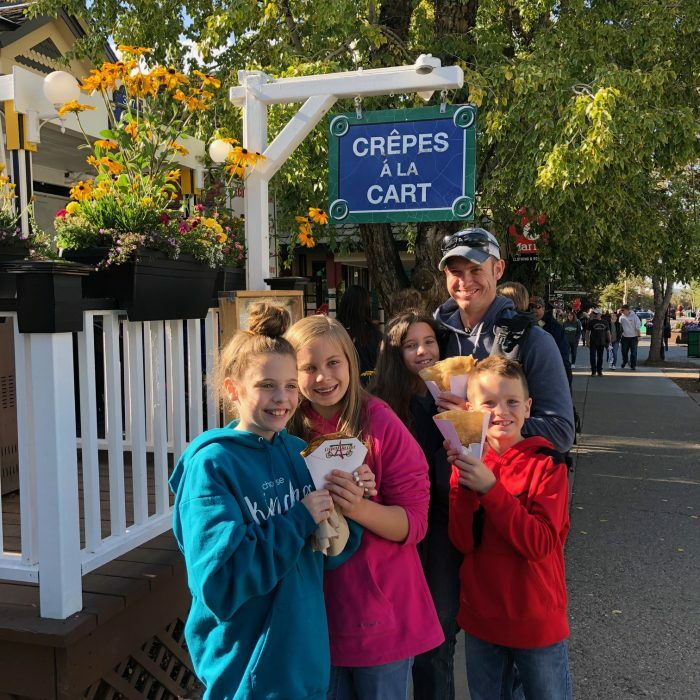 It was the perfect treat and because of getting to watch them make the crepes, it felt like more of an “experience” than just a simple stop for a snack! A Deal You Don’t Want to Miss! Speaking of budgets and saving money, we had some requests to offer a Labor Day sale on our courses and digital products. I wasn’t planning to, but I decided that it’s been a few months since we’ve run a sale so we’re going to do a 36-hour Flash Sale of ALL of our products. And guess how much of a discount you can get with this sale?? 50% off! That’s right, when you use coupon code FLASHSALE, you’ll get half off the price of every single one of our courses. You can order as many courses as you’d like at this discount. This sale is only good through Wednesday evening (September 5, 2018) at midnight. Get in on these great deals while you can! WordPress 101: Just $18.50 with the coupon code! Build Your List 101: Just $18.50 with the coupon code! 4 Weeks to a More Productive Life: Just $8.50 with the coupon code! Be sure to use coupon code FLASH SALE to get these prices! And remember, you can use this coupon code as many times as you’d like! Looking for more? Read more posts about Peek Into Week. I live in those mountains and yes!, crazy expensive. I am glad you had an amazing weekend, the views do rock and I couldn’t imagine living any where else (moved here from Chicago in 1998). It’s always such a gift to love where you live! Beautiful scenery like that would keep me entertained for a long time! Kudos to your Dad for a wonderful gift! Yes, it was such a special gift! Out of curiosity, do your parents each give their own gifts since it sounds like only your Dad gave this trip? Yes, it is a gift, too. And yes, we all pitched in on meals together this trip, too! 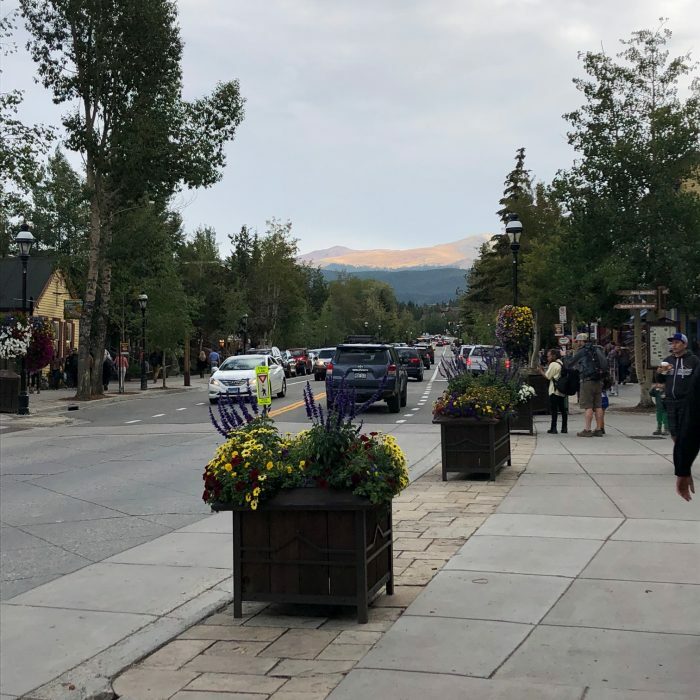 We were just in Breckenridge earlier this summer, too! Crepes a la Cart has a another location across the street and just behind the buildings (2 min walk). 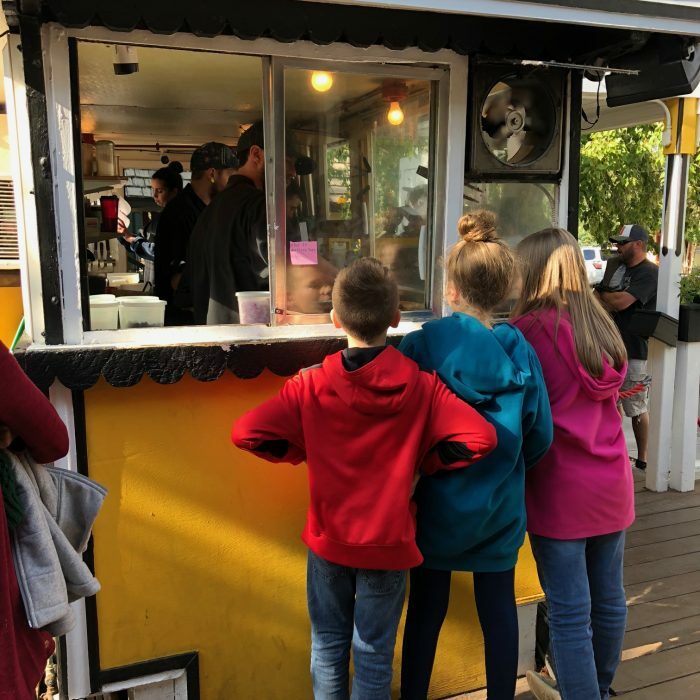 When we were there, the line at the cart was also super long and then someone else told us about the other location, which had very little wait with the same menu. Too bad your wait was so long! Oh! I wish I had known! That’s good to know for next time! Well, we’ll know for next time! Thank you for sharing this list! 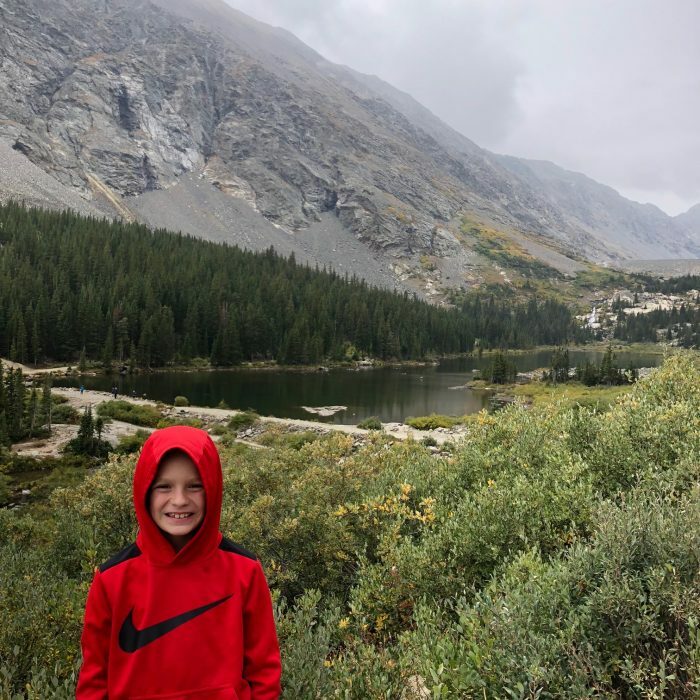 We would drive over to Breckenridge from Colorado Springs several times a year, but never spent much money. We just went for the day and did all the “free” stuff and shared meals. A few months ago I was fortunate to be in Paris, and we bought crepes for about $3 each! 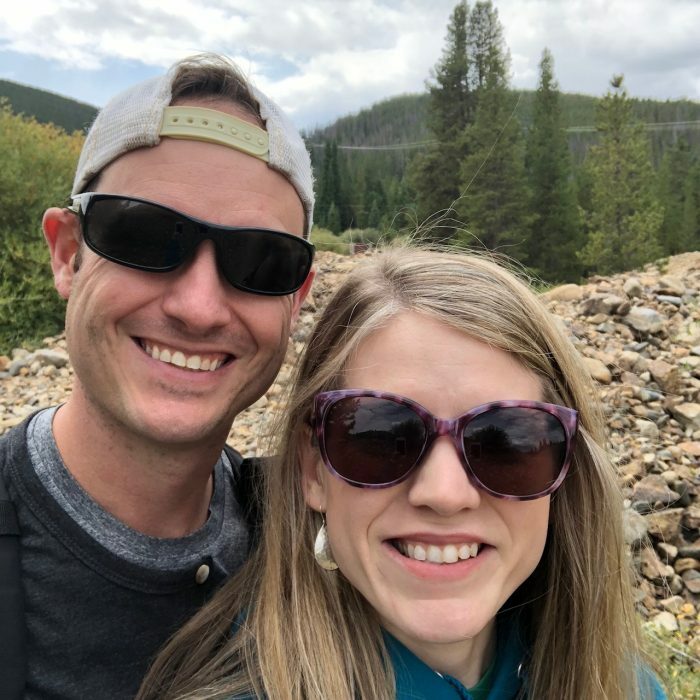 My brother and sister in-law live in Breckenridge. It is very expensive to visit and live there. They were finally able to purchase a home that is deed restricted so it was for a much lower price than most homes there. Most of these properties have a lottery or drawing of some kind to even be put on the list to be potential buyers. We visit at least twice a year but thankfully we home school and go in the “off” seasons (late spring is called mud season). The snow isn’t always the best but it’s much cheaper. Christmas is CRAZY expensive! You can save a little bit of money by staying in Frisco or Keystone. 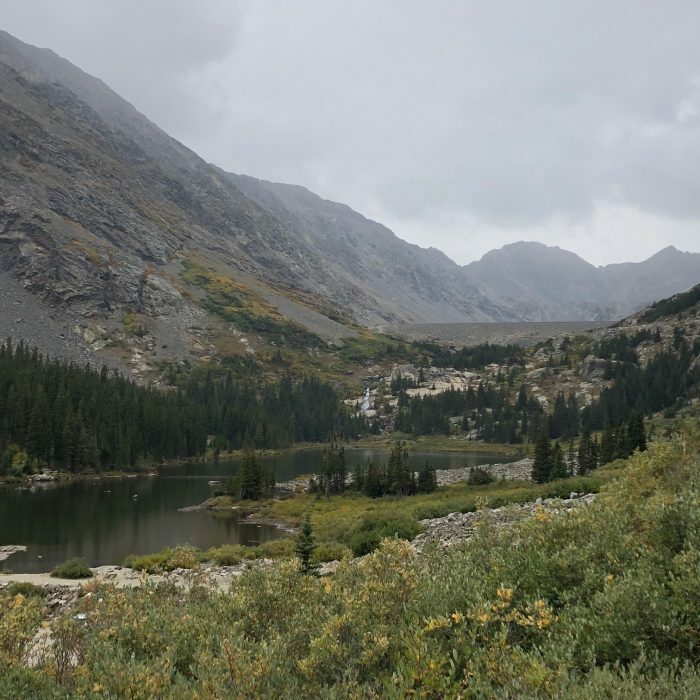 There are some free/inexpensive things to do like the gondola and hiking. There are several free museums including the one in the visitor’s center and taking the rec path into Frisco is a favorite of ours too but we take our own bikes! The locals seem to stick together in Breck and many places offer local discounts if they ask. My kids favorite place to eat is Eric’s downstairs. The food is not the best in town but they love the atmosphere and arcade. Our favorite is probably Empire Burger!